How sweet! Thanks for the plug! 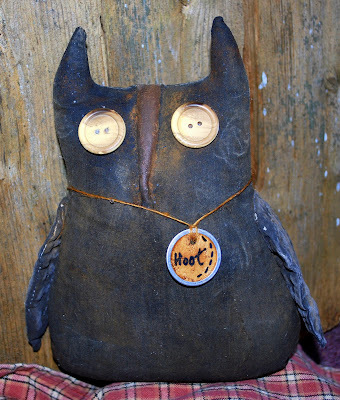 Love Hootie, with those cute button eyes. The country/primitive crafts are so comforting.